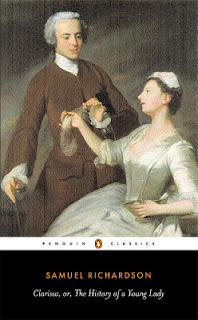 Terri and I are co-hosting a yearlong group read of Clarissa by Samuel Richardson. Links to June update posts are being collected here. That's right, confession. There has be no progress this month, none whatsoever... a statement made even more embarrassing considering I am co-hosting this group read. I am stalled near the end of the April letters. The problem: Lack of motivation. While reading Clarissa, I am engaged and involved. However, once I put it down, I cannot gather enough motivation or enthusiasm to pick it up again. Sure, Richardson was in dire need of an editor, but I like Clarissa (most of the time) and want to see how it all turns out for her. The solution: Don't put it down. I've never been good at reading several books at once, so what I probably need to do is make Clarissa my primary focus. Looking back on previous 'really big book' success stories (most recently A Suitable Boy and The Count of Monte Cristo), I read them exclusively over a month or two. The implementation: Just read it. I have several commitments for July and August, but by late August or early September, Clarissa will become my number one reading priority. 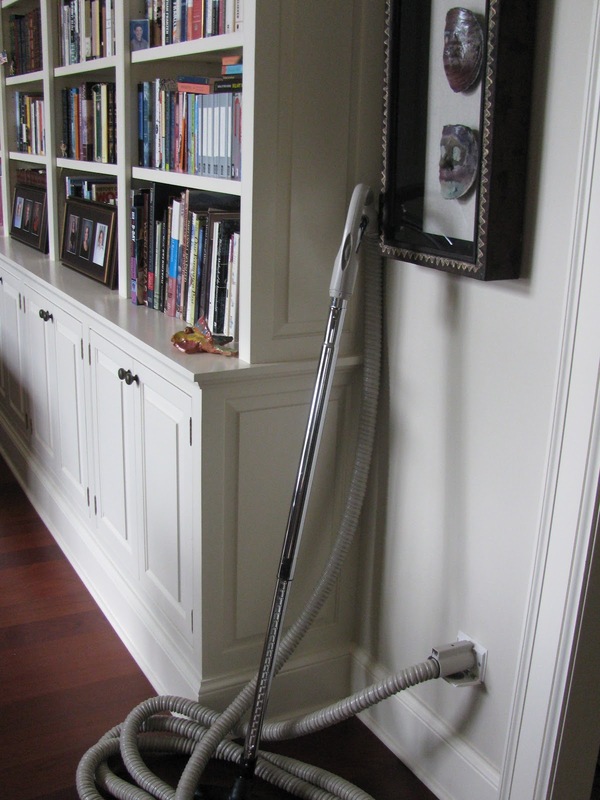 Here is the June collection post for our Clarissa Group Read. If you've written a post for Letters 219-304 or have comments on your June reading of Clarissa, please let me know in the comments and I'll add your link. Audiobook Week, hosted by Jen at Devourer of Books, wraps up today with a discussion of audiobook resources and recommendations. I have to say that bloggers are my primary source of audiobook recommendations. After seeing all the love for Ready Player One this week, you can be certain that's gone to the top of my wish list. 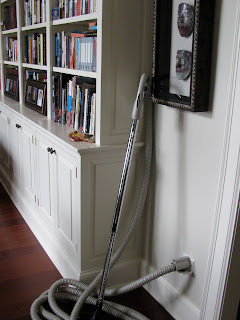 There are two bloggers in particular who never steer me wrong: Jennifer at Literate Housewife and Sandy at You've GOTTA Read This. When either one of these ladies declares an audiobook a must-listen, I take note. It may take awhile before I actually get a chance to listen, but I will listen. Audible.com is another wonderful resource. I've had a membership for years. In addition to purchasing audiobooks, I maintain a wish list, learn about new releases and recent additions, listen to audiobook samples, and have access to their listener reviews. Every month, I pick up a free copy of BookPage newspaper at my library. 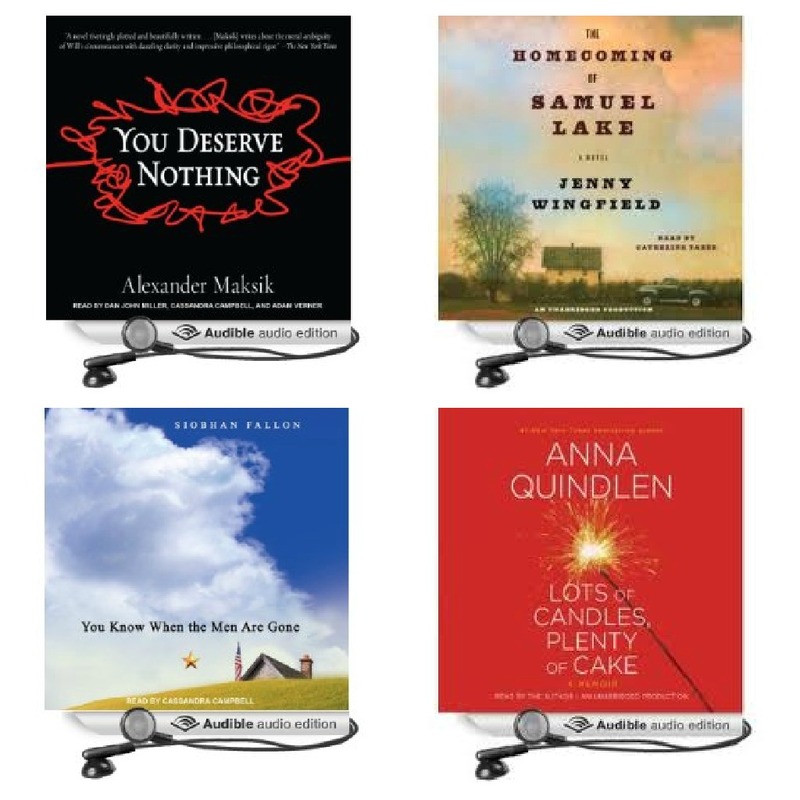 Their audiobook column has provided some great recommendations over the years, too. And finally, sometimes finding a great audiobook is purely a matter of chance. While perusing my print wish list a couple months ago to see which titles were available on audio, I discovered You Deserve Nothing not only featured multiple narrators (I love this format! ), but one of the narrators was a favorite (Cassandra Campbell). That turned out to be one of the best multi-narrator productions I've experienced. I'm looking forward to reading other posts on today's topic. There will surely be plenty of great tips, resources, and recommendations. 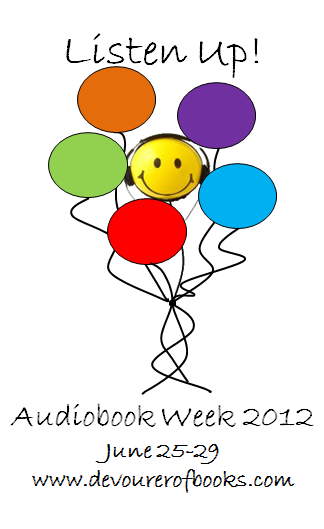 Thanks, Jen for all the work you've put into making Audiobook Week such a huge success! A fresh look at the endlessly fascinating Tudors - the dramatic and overlooked story of Henry VII and his founding of the Tudor Dynasty - filled with spies, plots, counter-plots, and an uneasy royal succession to Henry VIII. Near the turn of the sixteenth century, England had been ravaged for decades by conspiracy and civil war. Henry Tudor clambered to the top of the heap, a fugitive with a flimsy claim to England’s crown who managed to win the throne and stay on it for 24 years. Although he built palaces, hosted magnificent jousts, and sent ambassadors across Europe, for many Henry VII remained a false king. But he had a crucial asset: his family - the queen and their children, the living embodiment of his hoped-for dynasty. Now, in what would be the crowning glory of his reign, his elder son would marry a great Spanish princess. Thomas Penn re-creates an England that is both familiar and very strange - a country medieval yet modern, in which honor and chivalry mingle with espionage, realpolitik, high finance, and corruption. It is the story of the transformation of a young, vulnerable boy, Prince Henry, into the aggressive teenager who would become Henry VIII, and of Catherine of Aragon, his future queen, as well as of Henry VII - controlling, avaricious, paranoid, with Machiavellian charm and will to power. Rich with incident and drama, filled with wonderfully drawn characters, Winter King is an unforgettable account of pageantry, intrigue, the thirst for glory, and the fraught, unstable birth of Tudor England. A couple of months ago, I found myself searching for an audiobook to enjoy with my husband during a long car ride. His only request was that it be nonfiction. I often listen to nonfiction, but was having a hard time settling on a title until I came across this post on nonfiction audiobook recommendations at Beth Fish Reads. Finally, a book I was certain we could both enjoy. Manipulation, intrigue, and more. I have a long-standing interest in Tudor England that mostly centers around Henry VIII. Henry VII, however, was a mystery. Through Winter King, I developed an understanding of both Henry VII's reign and the making of Henry VIII. Many of the names were already familiar yet, especially in the opening chapter, I had a hard time keeping them straight and wished I could refer to a print copy. Unfortunately, the library hold list was quite long and I wasn't able to obtain one prior to finishing the audio. As a result, some of the early details went over my head, yet I was still able to relax and enjoy the book thanks to Simon Vance's excellent narration. Accounts of intelligence, counter-intelligence, sabotage, and the overall oppression of subjects during Henry VII's reign came as somewhat of a surprise. I enjoyed learning more about Catherine of Aragon - her marriage to Arthur, life as a widow, and the proceedings that lead to her marriage to Henry VIII. The death of Henry VII and events surrounding Henry VIII's rise to power were also especially interesting. Despite a rocky start, I ended up enjoying the book quite a bit. Simon Vance, where have you been all my audio life? Vance is a perennial favorite among audiobook fans, and with good reason. His flawless narration was incredibly engaging, and definitely the high point of the book for me. 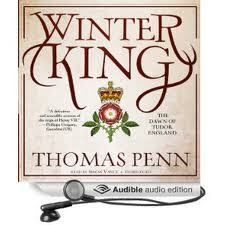 Winter King provides a fascinating look at the beginning of Tudor England, especially the reign of Henry VII. Highly recommended history buffs. Audiobook Week, hosted by Jen at Devourer of Books, continues with a quick and easy mid-week meme. 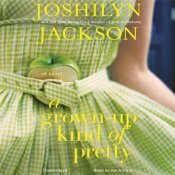 All titles mention are linked to audible.com. Although I've read several of Gaskell's short stories, this is my first novel and I'm struck by the similarities to Jane Austen. Stevenson's narration, with a wide range of accents, is excellent. Juliet Stevenson. Her narration of Trespass by Rose Tremain and was nothing short of amazing. 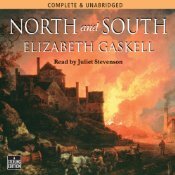 When faced with a choice of eight editions of North and South at audible.com, my decision was made based her reading. Don't laugh at me - there are nearly 150 titles on my audio wish list, so I'll break this down. It may already exist in The End of the Affair. Visit Devourer of Books for links to other posts on this topic. When it comes to reviewing books and audiobooks, it's important to remember that there is no set formula. Each of us has our own quirks and habits, so it makes sense that there are as many different review styles as there are bloggers. Although it's taken a couple of years, I've finally worked out a review format that works for me. I always start with the basics: title, author, narrator, publisher, publication date, and length of production. The length important to me because it's nice to know whether the time commitment is eight hours or thirty hours. A brief plot description follows. Some bloggers write wonderful plot descriptions but, unfortunately, I am not one of them. I will often use summaries from amazon or the publisher, and always give them credit. I have a feeling not many people read this section of a review. They may already have a general plot idea or prefer not to know too much about it. Personal reaction and thoughts about the book comes next. This the main body of the review and consists of a few sentences or a few paragraphs (whatever it takes) explaining what I liked or didn't like, and, when possible, why. I'll often mention the reason I chose the book - book club selection, recommendation from another blogger, etc. Specific thoughts on the audio production is an absolute necessity! How was the reader? Did his/her voice fit the book? I usually mention previous experience with the narrator. I also talk about special quirks or things to be aware of with the production. Finally, it important to mention whether the book works well on audio and why. A rating. This is a semi-controversial area of reviewing. I rate books and appreciate when other do, too. I find it very helpful, especially with bloggers whose tastes I've become familiar with over the years. Rating can be trickier with audio - on rare instances, I've had to give two ratings, one for book and one for audio production. Many bloggers choose not to rate books and that's fine, too. I like to end with the bottom line or a one sentence summary. This often restates my overall reaction and recommendation. So that's my approach as it has evolved over the past few years. It works for me, but I know it's not for everyone. 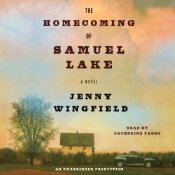 How do you go about reviewing audiobooks? 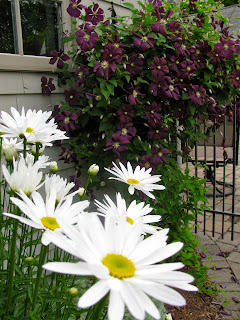 Visit Devourer of Books for links to others posts on this topic. Welcome to Audiobook Week 2012 hosted by Jen at Devourer of Books. I love audiobooks and have participated in this event for the past two years. Each year, I've made new friends and discovered some great audiobooks. The week ahead will be filled with discussion, reviews, and prizes, and promises to be just as exciting. Today's topic/discussion: Are you new to audiobooks in the last year? Have you been listening to them forever but discovered something new this year? Favorite titles? New times/places to listen? This is your chance to introduce yourself and your general listening experience. Let's get started with my 'listening background'. I first turned to audiobooks in 2002, when I was spending exorbitant amounts of time in my car. The library was my sole source of audiobooks and I listened to whatever happened to be on the shelf. I didn't pay much attention to narrators and never considered listening outside the car. I have experimented with listening while walking Zelda, our greyhound, but that didn't work out - she prefers my undivided attention. What kind of audiobook year are you having? June is Audiobook Month. Regular readers of Lakeside Musing know my love of audiobooks has been well-chronicled over the years. To celebrate Audiobook Month, I will post a review from my audio archives each Monday. 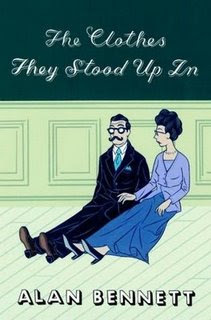 This week I continue with The Clothes They Stood Up In by Alan Bennett, originally reviewed 2/26/09. Keep up with all Audiobook Month activities on twitter by following #JIAM2012. 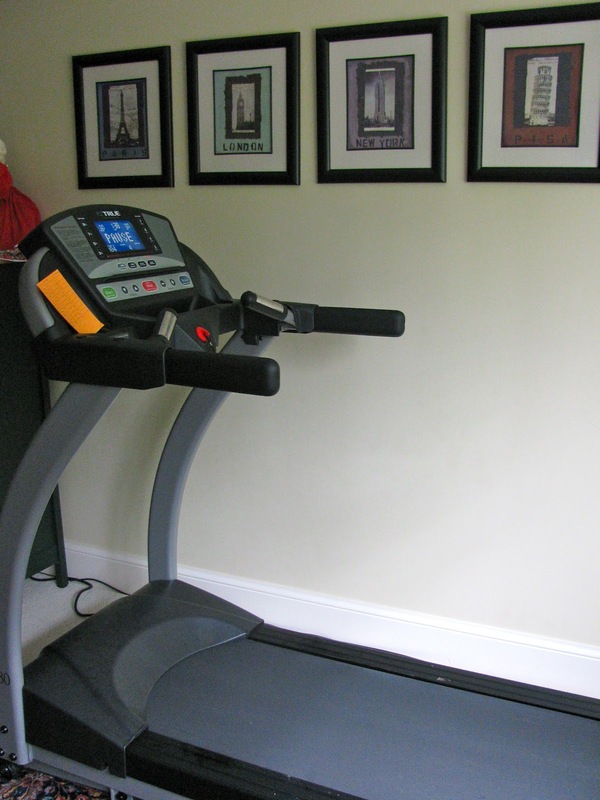 "The Ransomes had been burgled. "Robbed," Mrs. Ransome said. "Burgled," Mr. Ransome corrected. Premises were burgled; persons were robbed. Mr. Ransome was a solicitor by profession and thought words mattered. " These opening lines were featured in my Tuesday Teaser last week, but they are so memorable I had to include them again. As the novella opens, the Ransomes have come home to find their apartment completely cleaned out - right down to the toilet paper. Some uproariously funny moments ensue as the investigation begins, but soon things take a more serious, even dark, turn. Mr. and Mrs. Ransome have very different ways of coping with their losses. Mr. Ransome, who enjoys a rigid, structured existence, is able to return to his normal routine, just slightly compromised, with relative ease. For Mrs. Ransome, the task is not quite so simple. Being stripped of all her possessions presents an opportunity to question both her routine and many past decisions. She does exactly that and becomes quite a changed person in the process. Karen at Bookbath and I are excited to announce the third “Paris in July” – a month long blogging experience celebrating our love of all things French and Parisian. Karen and I really enjoy the experience of hosting and being treated to the many reviews, stories and photos that transport us all to Paris and all things French. First held in 2010 with 39 participants, by popular demand, we were compelled to go again in 2011 with even more participants. 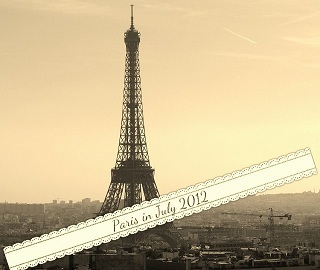 Now we’ve heard your requests and we’re off again - on a new journey “Paris in July 2012”. For those of you who participated last year the guidelines for the event will be pretty much the same (we reserve the right to throw in some surprises now and then). Paris in July will run from the 1st - 31st July 2011 and the aim of the month is to celebrate our French experiences through reading, watching, listening to, observing, cooking and eating all things French. Of course I plan to participate and have already started making my list. I have no illusions of completing everything, but it's sure to be fun anyway. One late spring evening in 1912, in the kitchens at Sterne, preparations begin for an elegant supper party in honor of Emerald Torrington's twentieth birthday. But only a few miles away, a dreadful accident propels a crowd of mysterious and not altogether savory survivors to seek shelter at the ramshackle manor—and the household is thrown into confusion and mischief. I'll admit to being initially drawn to The Uninvited Guests by the cover. Shallow, I know, but there you have it. When positive reviews began appearing around the blogosphere, I added my name to the library hold list and reached the top in just a few weeks. At home, I was delighted to discover the novel has gorgeous endpapers, too. This is a very visually appealing book! 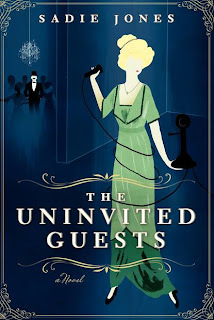 The Edwardian Era setting helped satisfy my Downton Abbey withdrawal syndrome, and I immediately enjoyed the author's use of language - so smart and witty. Several laugh-out-loud moments had my family raising eyebrows and glancing in my direction. The novel was a quick read and I finished the final half in a single afternoon, an unusual occurrence for me. My verdict? Enjoyable overall, yet it fell short of my expectations. The story seemed a little flat and the macabre plot elements just seemed weird. I was expecting more to be made of Smudge's drawings, especially since they adorn the endpapers. The characters, in general, weren't especially likable and I never really cared about any of them. I found myself thinking about the book for several days after finishing. My appreciation may have increased slightly, yet I still can't muster more than a 'good' rating. Bottom line: A good book, but ultimately disappointing... probably due to my heightened expectations. "...then we talked about Mason Tate and his hatred of all things purple (royalty, plums, fancy prose)." I obviously have no trouble with the color purple. It was the last night of 1937. With no better plans or prospects, my roommate Eve had dragged me back to the Hotspot, a wishfully named nightclub in Greenwich Village that was four feet underground. From a look around the club, you couldn't tell that it was New Year's Eve. There were no hats or streamers; no paper trumpets. At the back of the club, looming over a small empty dance floor, a jazz quartet was playing love-me-and-left-me standards without a vocalist. The saxophonist, a mournful giant with skin as black as motor oil, had apparently lost his way in the labyrinth of one of his long, lonely solos. While the bass player, a coffee-and-cream mulatto with a small deferential mustache, was being careful not to hurry him. Boom, boom, boom, he went, at half the pace of a heartbeat. I started our next book club selection last Friday evening and, after reading just 25 pages, made the declaration that I will read anything Amor Towles ever writes. Besides the writing, I'm also enjoying the setting - Manhattan in the late 1930's. What do you think of the intro? June is Audiobook Month. Regular readers of Lakeside Musing know my love of audiobooks has been well-chronicled over the years. To celebrate Audiobook Month, I will post a review from my audio archives each Monday. 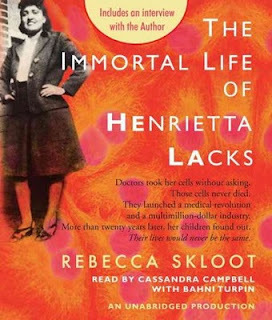 This week I continue with The Immortal Life of Henrietta Lacks by Rebecca Skloot, originally reviewed 9/30/10. Keep up with all Audiobook Month activities on twitter by following #JIAM2012. The Immortal Life of Henrietta Lacks is a fascinating history of cell culture, the real woman behind HeLa cells, and the impact of HeLa research and development on her family. 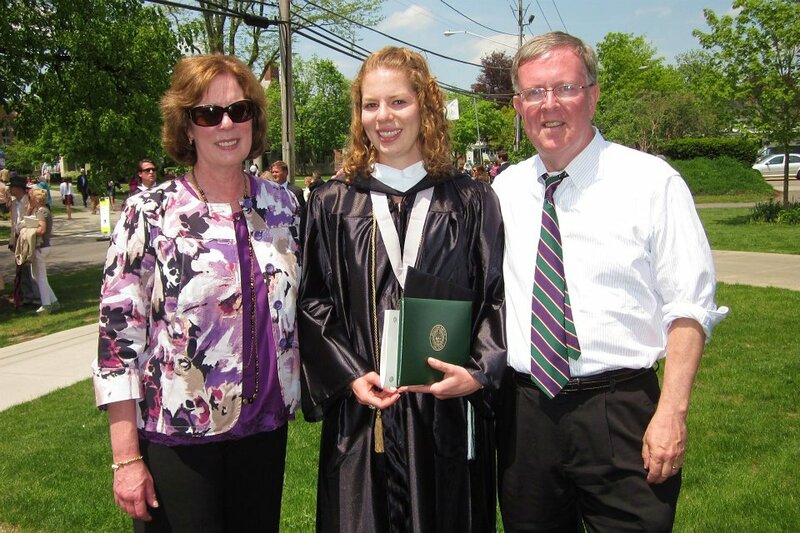 When I graduated from college in the 1980's and began a career in clinical pharmacy at a teaching hospital involved with investigational drug trials, I became aware of HeLa cells and their importance in medical research. Now, nearly 30 years later, I have come to realize that HeLa was, in fact, a living human being. Her name was Henrietta Lacks. The Immortal Life of Henrietta Lacks tells the story of a young black woman who died from a particularly aggressive form of cervical cancer in 1951. Cells from her tumor lead to an exciting scientific breakthrough when they were cultured and grown in a laboratory. Eventually, these cells were commercially mass-produced and marketed throughout the world, and a new era in medical research began. The cell line, still used today, played a critical role in many medical advances. However, Henrietta's husband and children knew nothing about it. 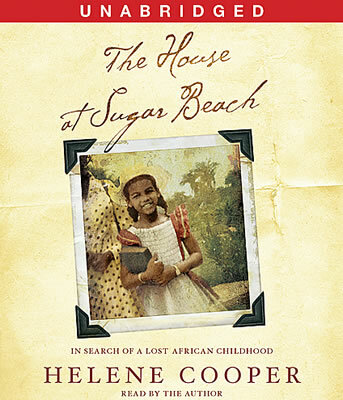 Rebecca Skloot was in close contact with Henrietta's family, especially her daughter Deborah, during the years of research preceding publication. This book is as much their story as Henrietta's or Rebecca's. Skloot was present to assist and chronicle their experience as an understanding of Henrietta's cells, their scientific impact, and long-hidden family history was gained. Skloot's research and the Lacks' remarkable journey raise many questions of medical ethics, and put into perspective just how recently current standards of informed consent, privacy, etc. have come into practice. Healthcare inequities are also brought to the forefront. While large sums of money were being made on the HeLa cell line, Henrietta's descendants struggled to afford basic health insurance. Book clubs are sure to find a variety of topics for discussion here ranging from medical ethics, faith, and science, to class, racism, and journalism. Cassandra Campbell has long been one of my favorite readers. Her voice in this production imparts an even more pronounced 'human quality' to the narrative. This is by no means a dry, scientific text. Even if you have little interest in cell culture, medical research, or ethics, there is still enough human drama to keep nearly anyone enthralled. Betty Weissmann has just been dumped by her husband of forty-eight years. Exiled from her elegant New York apartment by her husband’s mistress, she and her two middle-aged daughters, Miranda and Annie, regroup in a run-down Westport, Connecticut, beach cottage. In Schine’s playful and devoted homage to Jane Austen’s Sense and Sensibility, the impulsive sister is Miranda, a literary agent entangled in a series of scandals, and the more pragmatic sister is Annie, a library director, who feels compelled to move in and watch over her capricious mother and sister. Schine’s witty, wonderful novel “is simply full of pleasure: the pleasure of reading, the pleasure of Austen, and the pleasure that the characters so rightly and humorously pursue….An absolute triumph” (The Cleveland Plain Dealer). Modern adaptations of classic novels seem to be everywhere lately and The Three Weissmanns of Westport, inspired by Jane Austen's Sense and Sensibility, is one of the best I've come across. It's nearly as smart and witty as Jane herself, plus it's teeming with literary references. I snapped it up (for only $1.50) at the library book sale last summer for two reasons. First and foremost, I love Jane Austen. Second, in the late 80's I lived near Westport, CT and was drawn to the setting. I was not disappointed on either account - Schine's novel would make Jane proud and it perfectly captures Westport, too. I nodded in recognition at traffic references on Old Post Road, the rapidly redeveloping beachfront, and the general description of Fairfield County's suburban lifestyle. I certainly got more than got my money's worth here! 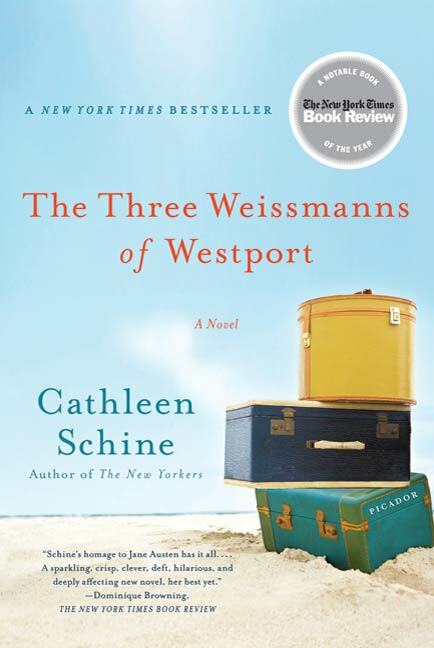 The Three Weissmanns of Westport is the type of intelligent beach read I find myself craving each summer. Let me emphasize that the novel absolutely stands on it own. You do not need to be familiar with Sense and Sensibility in order to enjoy it. However, I would recommend at least watching a movie adaptation (either before or after) to get a true sense of the novel's cleverness. It's been at least ten years since I read Sense and Sensibility, so recollected only the broadest plot details. I watched the old BBC adaptation a few days after finishing and it really added to my appreciation of what Schine has accomplished. It also made me want to reread Sense and Sensibility. Ten of us met at a member's home for coffee and muffins last Friday morning. After catching up with life events - graduations, a wedding, and the birth of a grandchild - we moved to the patio overlooking the lake for our discussion. Surprisingly everyone finished the book, but only four of us (myself included) really liked it. Most felt it was too 'light' for a book club selection. We discussed senior citizen divorce, divorce laws in general, family dynamics of grown children living with parents, similarities to Sense and Sensibility, Jane Austen novels in general, and life in Westport and Fairfield County. Several members had issues with the ending- it wrapped up too quickly, they wished Betty had met with a different fate, and the resolution of Miranda's story seemed to come out of nowhere. 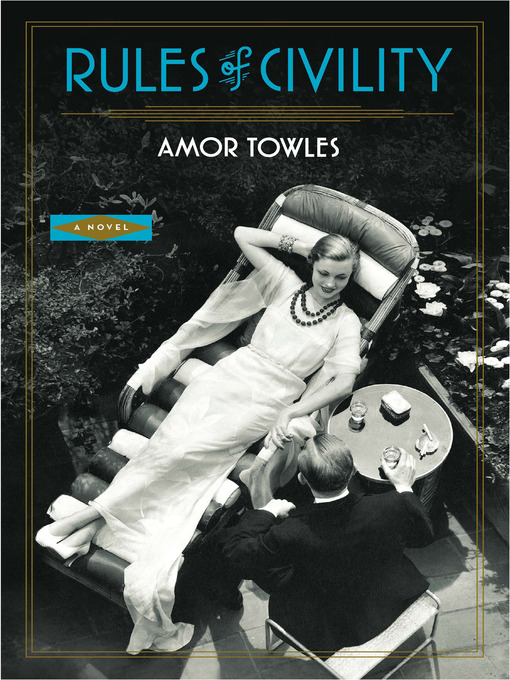 Our annul pot luck dinner with a discussion of Rules of Civility by Amor Towles is scheduled for late July. If you're like me and crave literary, intelligent beach reads, then add this modern adaptation of Sense & Sensibility to your list. For wind or water's roar? 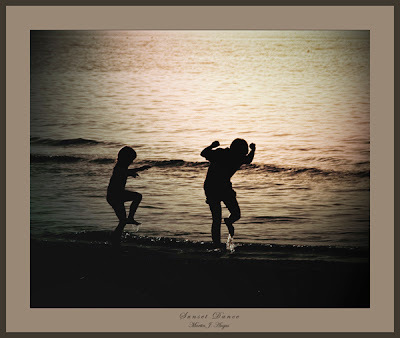 "To a Child Dancing in the Wind" is reprinted from Responsibilities. W.B. Yeats. New York: Macmillan, 1916. It's the birthday of the poet and playwright William Butler Yeats (books by this author), born in Dublin, Ireland (1865). He grew up at a time when the nation of Ireland was struggling with its identity as an English colony. Most members of the Irish Protestant upper class were pro-British rule, and members of the Catholic middle class were pro-independence. It didn't help the two sides get along that Catholics were denied equal access to education, jobs, and government positions. Yeats grew up in a Protestant family, but he only cared about poetry. In 1889, he met Maud Gonne, a beautiful actress who had become an activist and who spoke out for Irish nationalism and independence. She became the love of his life. She inspired him to use his writing as a force for national unity. Yeats came to believe that if he could get in touch with the deep, mythic history of the Irish people, he could pull the country together with poetry. Yeats spent years writing plays about Irish nationalism for Maud Gonne to star in. But by 1910, Maud Gonne had married someone else and Yeats had given up on trying to win her love. He also gave up on the idea of writing poetry for the collective soul of Ireland, and wrote instead for himself. At the same time that he stopped trying to use poetry as a political force, he started getting directly involved in politics, and served for six years in the Irish senate. In 1922, he witnessed the end of the English occupation in all but the northern counties of Ireland. He died in 1939. A few weeks before he died, he wrote: "Man can embody truth but he cannot know it." June is Audiobook Month. Regular readers of Lakeside Musing know my love of audiobooks has been well-chronicled over the years. In celebration of Audiobook Month, I will post a review from my audio archives each Monday. This week I continue with The House at Sugar Beach by Helene Cooper, originally reviewed 7/9/10. Keep up with all Audiobook Month activities on twitter by following #JIAM2012. Good morning and happy Sunday. It's a gorgeous day here in central New York and I've already checked several chores off my outdoor to-do list . Now it's time to take a break with an iced coffee and my laptop and talk about books. Thanks to yesterday's rain, I enjoyed a lazy Saturday indoors. While catching up with posts in my google reader, I was inspired to join GoodReads. Of course, that ended with spending way too much time rating books and setting up shelves, but it was a lot of fun. 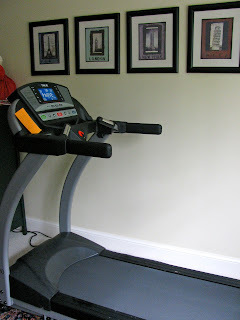 My next task is to figure out how it fits in with blogging. I've seen progress updates and books marked as 'to read' on twitter, but I'm wondering about groups, author fan pages, lists, etc. How do you use goodreads? Any pointers or advice would be much appreciated. In case you missed it, June is Audiobook Month. Twitter was buzzing with news from the Audie Awards Tuesday night. See all the winners here, then follow the twitter hashtag #JIAM2012 to discover more events, articles, reviews, and giveaways. Audiobook Week hosted by Jen at Devourer of Books is coming up soon, too. This year's celebration will be held June 25-29 (details here). To get warmed up, I'm revisiting a favorite book from my audio archives every Monday. Last week I selected The Big Rock Candy Mountain by Wallace Stegner - tune in tomorrow for this week's choice. 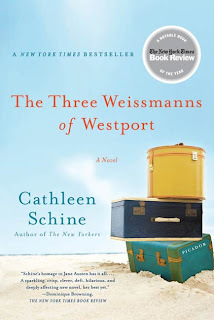 My book club met Friday to discuss The Three Weissmanns of Westport by Cathleen Schine (a little 'light' for some, but I really enjoyed it). A full report plus my review will follow soon. Rules of Civility by Amor Towles will be our summer read. I don't know whether I'll read or listen, but can't wait to get started. I finished two books this week: The Uninvited Guests by Sadie Jones and Lots of Candles, Plenty of Cake by Anna Quindlen. Now it's time to block out a day to catch up on reviews. In addition to the stack below, I need to write about a couple of audiobooks, too. 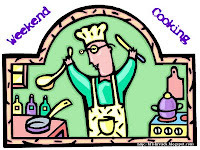 Cleaning the house is next on the agenda... my family will be over for dinner and a boat ride later this afternoon. There should be time to relax with a book later this evening. What are you up to today? This has been making the rounds on facebook all week, but I thought it might be fun to share here, too. 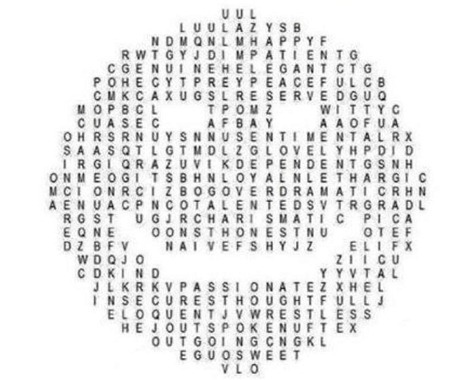 What are the first four words you see when you look at this smiley face? 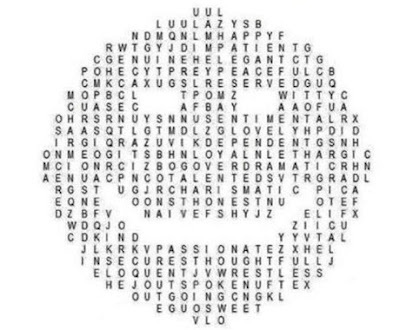 They are supposed to describe your personality. 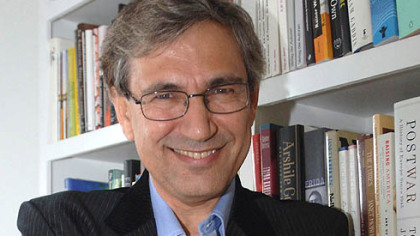 The Turkish novelist Orhan Pamuk (books by this author) celebrates his 60th birthday today. He was born in Istanbul in 1952 and grew up in a fairly wealthy and Westernized district. He studied architecture and then journalism, but at 23 years old, he decided to become a novelist. He lived with his mother and wrote full time, and seven years later, he published his first novel, Cevdet Bey and His Sons (1982). He's worked as a novelist for 30 years and has never held any other kind of job, and apart from three years he spent in New York, he's lived his entire life in the Istanbul district of his birth. In 2005, Pamuk gave an interview in which he made remarks about the Armenian Genocide and the mass killing of tens of thousands of Kurds. He said: "Thirty thousand Kurds have been killed here, and a million Armenians. And almost nobody dares to mention that. So I do." Criminal charges were filed against Pamuk in Turkey, and his statements resulted in a new law making it illegal to make anti-Turkish remarks. There was an international outcry, and several noted authors — including Gabriel García Márquez, Umberto Eco, John Updike, and Günter Grass — spoke out in Pamuk's defense. The charges were dropped early in 2006. Recent books include The Naïve and Sentimental Novelist (2010) and Pieces from the View: Life, Streets, Literature (2010). Orhan Pamuk is an author I've been meaning to read for years, yet have a vague sense of intimidation when faced with his work. The Museum of Innocence is on my shelf, but I'm not sure that's the best place to begin. Have you read Pamuk? Do you have any recommendations? Louise Erdrich is also celebrating a birthday today. Here is my Author Birthday post from last year. Since her marriage to Edward Swift, three years after the sudden death of her first husband Horace Torrington, Charlotte had changed her position at the breakfast table in order to accommodate her new husband's needs: specifically, aiding him in the spreading of toast and cutting of meat, owing to his having suffered the loss of his left arm at the age of twenty-three in an unfortunate encounter with the narrow wheels of a speeding gig, out of which he had fallen on the driveway of his them home in County Wicklow. Having always faced the window and wide view, now Charlotte sat on Edward's left, and faced him. June is Audiobook Month. Regular readers of Lakeside Musing know my love of audiobooks has been well-chronicled over the years. In celebration of Audiobook Month, I will post a review from my audio archives each Monday. 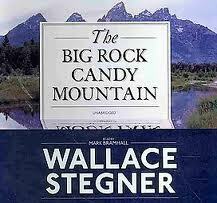 This week I begin with The Big Rock Candy Mountain by Wallace Stegner, originally reviewed 6/10/11. Keep up with all Audiobook Month activities on twitter by following #JIAM2012. My appreciation for Wallace Stegner grows every time I read (or listen to) one of his novels. The Big Rock Candy Mountain, a family saga simply told with dignity and honesty, features writing that is startling beautiful and, at times, even haunting. Stegner writes of family relationships and dynamics with amazing acuity. I was not surprised to learn this is considered his most autobiographical novel. Stegner's love of nature, the outdoors and the American west is evident in the stunning physical descriptions of the land. I was also quite taken with his thoughts on home, roots and permanence. In fact, I ended up borrowing the book from the library to reread a several passages. I won't go into the plot (this is one to experience for yourself) but The New Yorker called it "A well-written study of a footloose family.. Stands out beautifully and unforgettably." Stegner won the Pulitzer Prize in 1971 for Angle of Repose. Crossing to Safety, his final novel written in 1987, may just be my all-time favorite book. The Big Rock Candy Mountain, in addition to being an excellent novel, provides valuable insight into the writer's life. It took a few moments to remember why Mark Bramhall's voice sounded so familiar. Finally, I recognized him as the narrator of Revolutionary Road by Richard Yates. Again, it took some time to get used to his voice, but Bramhall is an excellent reader. My only complaint (the same one I had with Revolutionary Road) is that I found his 'female voice' annoyingly sappy. It seemed to impart a 'spineless doormat' feeling to the character, but, in all fairness, there were times when this characterization was right on the mark. Bottom line: If you are ready to make the time commitment, Stegner's most autobiographical novel will not disappoint. It is beautiful, haunting and insightful. I don't know where to put all of their stuff! May was a delicious month here by the lake. 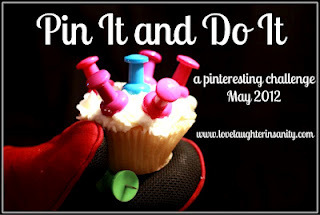 Trish's Pin It and Do It Challenge was all the encouragement I needed to join Pinterest, then three recipe successes motivated me try four more 'pins' before the month ended. Last Sunday, I offered to bring dessert and an appetizer to a family dinner. Reactions to the Kahlua Bundt Cake from Better Recipes were mixed. The flavor of the kahlua glaze was a little too strong for some, but my daughter and I loved it. These Mini Caprese Bites were quickly devoured. The skewers I had were a bit too long, so I cut them down to size. The picture was taken before the balsamic vinegar/extra virgin olive oil was drizzled over the tray. We had another opportunity to use our handy grill rack a couple of night later with this Sweet and Spicy Citrus Tilapia. The recipe says to marinate the fish for 15 minutes, but I'd leave it even longer next time. There will definitely be a next time! Finally, Martha Stewart's Tortilla and Black Bean Pie was a big hit. We're having more vegetarian meals now that the girls are home for the summer. This recipe is a variation on Martha's tortilla pie, another family favorite. I added some baby spinach we had in the refrigerator and cut back slightly on the cheese. With seven total pins, I finished the challenge at the 'Pinterested' level. One more and I would have been 'Pin Obsessed'...maybe next time. Thanks for hosting this challenge Trish. It's been fun!